Leonard Bielory, a physician at Robert Wood Johnson University Hospital and professor and allergy specialist at the Rutgers University Center of Environmental Prediction, said that "we're seeing increases in both the number of people with allergies and what they’re allergic to. Should warming continue, then more people will be exposed to seasonal allergens with subsequent effects on public health." This allergy season has been tough on a lot of people, and NBC 5's Ash-Har Quraishi has some tips on how to cope with the excess pollen in the air. Across the U.S., fall’s first frost is happening on average about a week later compared to 30 years ago, while spring’s last frost is occurring a week earlier, according to analysis by Climate Central. In parts of Oregon and New Mexico, researchers found the freeze-free season grew by at least two months — among the biggest increases in the country. And in Chicago the growing season increased by nearly two weeks since 1970. Still, over the past few decades the prevalence of hay fever among Americans has increased from 10 percent of the U.S. population in 1970 to 30 percent in 2000, the National Climate Assessment reported. Don’t hang clothing outdoors to dry as pollen could cling to towels and sheets. 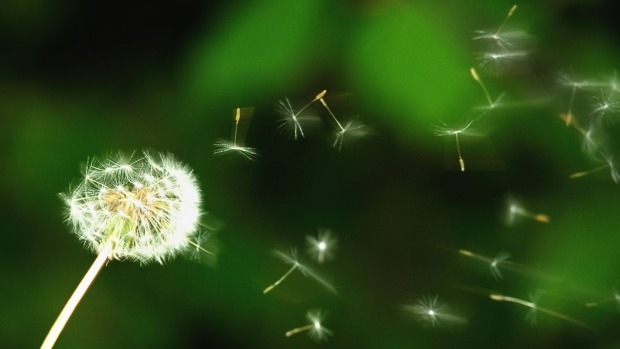 Since most allergens that trigger hay fever are airborne, it's not easy to avoid them. If symptoms can’t be mitigated by simply avoiding triggers, your allergist may recommend medications that reduce nasal congestion, sneezing, irritated eyes and an itchy and runny nose. Some medications may have side effects, so discuss these treatments with your health care provider before taking them.